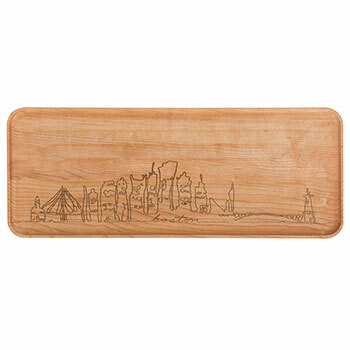 Our Maple Prep Board has been engraved with our own hand drawn images of the United States most iconic city skylines. This board will fit into any kitchen no matter how big or small. You can use the reverse side as your everyday chopping board and then flip it over when you have a couple of people over for cheese and crackers.